Warriors coach Steve Kerr has been fined $25,000 by the NBA for "verbally abusing and confronting" a game official during Wednesday night's 129-107 loss to the Portland Trail Blazers. Kiki VanDeWeghe, the NBA's executive vice president of basketball operations, announced the fine Thursday. 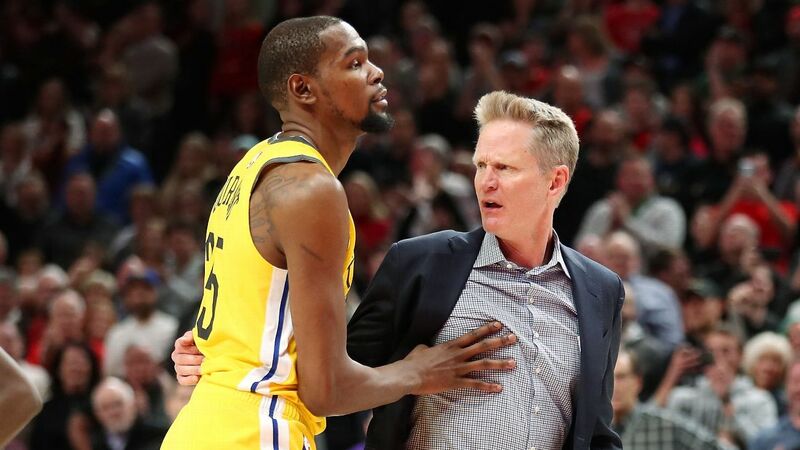 Kerr was ejected after arguing with official Kenny Mauer when a Draymond Green common foul was upgraded to a flagrant foul 1 late in the fourth quarter. That's when Kerr tossed his clipboard and launched into an expletive-filled defense of Green to Mauer. Kerr, who playfully threw out a couple more expletives on his way to meet with reporters after the game, said he still couldn't believe the review occurred in the first place. 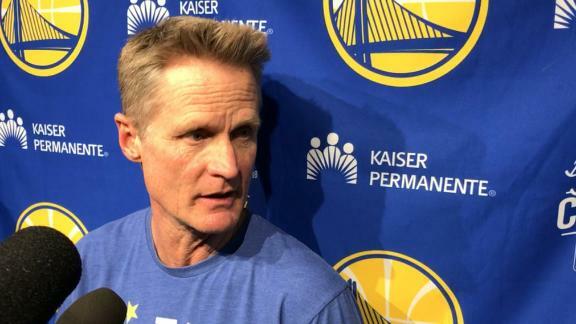 Steve Kerr says he was shocked that Draymond Green's foul on Zach Collins was called a flagrant, which lead to the Warriors' coach being ejected.